You have the greatest idea for your writing project. You’re keen to launch an e-book, invest time in research and development, or collaborate with others to host your literary event. But how will you source the funds to make it happen? Crowdfunding is an effective way to help bring your project to life. Platforms such as Pozible and the Australian Cultural Fund allow you to share your dreams while appealing to others for financial support. But it’s up to you to lay the groundwork and show people why your project is worthy of their investment. 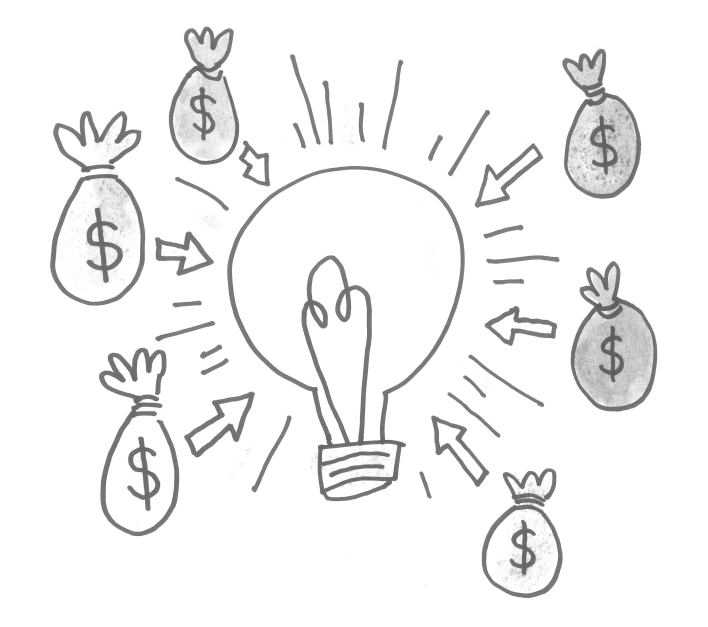 We bring you some tips to help you along your journey into the world of crowdfunding. Tell your best friend, work colleague, parents, even your neighbour. When you reach out to those within your own circle, chances are you’ll have your first supporters on board. And if they’re into your idea, they might even share your campaign throughout their networks, too. Don’t be afraid to ask – if your project is inspiring, others will help you. It’s easy to say your project needs money – but adding structure to your goal is a necessary step. Be transparent and let people know exactly where their contributions are going. Supplying a breakdown of funds, why you need them, and how you’ll use them is a valuable display of honesty. Supporters will know their money will be placed in organised hands. People you don’t even know are giving you money – so what’s in it for them? Return the generosity with clever rewards. Research other projects similar to yours and learn what they’ve offered. You might find their rewards would suit your campaign, too. Start simple, such as a public thanks on your social media page or a hand-written letter. Build your way up and incorporate rewards exclusive to your project. If you’re crowdfunding for a book, why not gift the book as a reward? It’s a great achievement to have people visit your campaign page – but presentation of your project will make a world of difference. If you’re working with others, gather your collaborators and have them feature in a video to showcase your idea. If you’re doing it solo, it’ll be well worth your while to borrow a Handycam, or even whip out your iPhone and record a smart little intro to grab the attention of your visitors. As for the page itself, be clear when outlining your story and goals – and try to include plenty of pictures. Now that we’ve set you up with a basic foundation, it’s time to do some exploring. Look up other campaigns or even blogs about the crowdfunding experience, and find patterns as to what works and what doesn’t. If you’re using Pozible, check out the website so you know the rules and conditions. There is also the possibility of matched funding through initiatives such as Arts Tasmania’s Crowbar. With a little research, you could uncover strategies and ideas that you may not have thought of before. The Tasmanian Writers’ Centre launched its first crowdfunding campaign this month. The Madi project will send 2000 locally produced books to schoolchildren in southern Sudan. We reached our target – but you can still contribute to our campaign until May 3 through www.pozible.com/project/202090.